We know that title sounds scary. 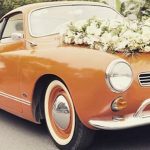 A wedding without flowers? Is there such a thing? Our answer is yes. 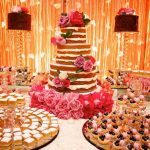 You can have a beautiful wedding, even without the flowers! All you need is a little creativity. Weddings tend to be a very expensive occasion. 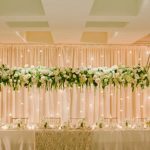 Many brides are looking for budget-friendly décor elements to cut the expenses a little. 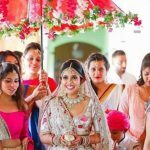 Yes, florals have been a part of wedding celebrations for ages now, which means that one cannot separate the flowers from the concept of a dream wedding. Traditionally, any wedding is considered incomplete without the floral arrangements. 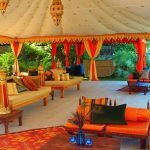 But if you are on a restricted wedding budget and still want to have the best looking venue; the flowerless wedding is for you to consider. 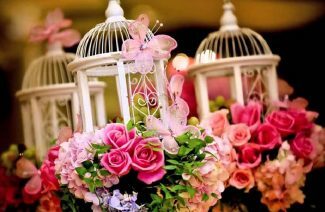 We are also here to help you by giving you some really cool ideas to have a flowerless wedding under the budget. Let’s take a look! Artificial flowers are a better option to pick. For one, there is no waste of fresh flowers. 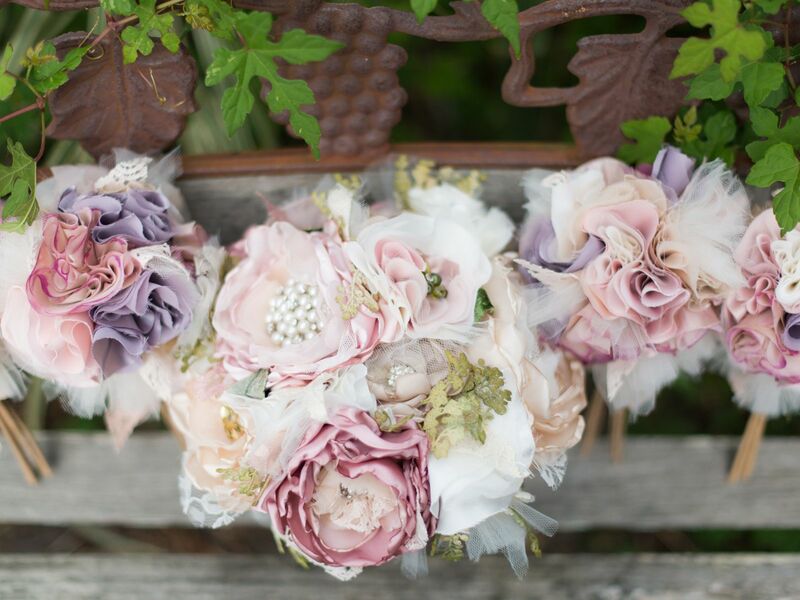 Faux flowers are available in different price ranges depending upon the quality of the faux flower. 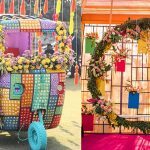 Some faux flowers look like the real ones and are easily mixed up with the décor thus enhancing the beauty of the overall celebrations. They are much easier to sync with the wedding color palette. Faux floral hangings create a fantasy look, if done right. 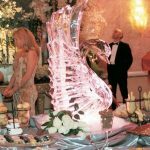 Consider wrapping it around chandelier to create a spectacular display for your guests. They can also be re-used and donated after the function. 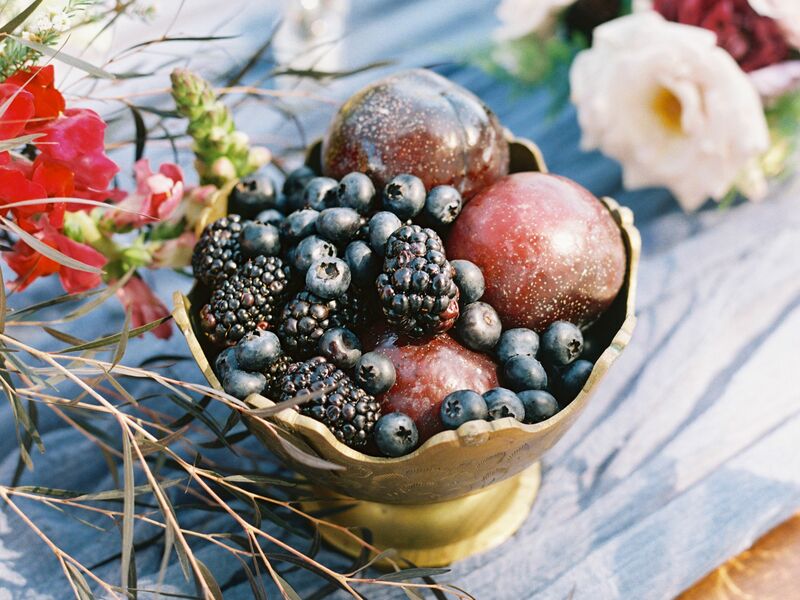 You might not have thought about it before, but putting fruits as your wedding table centerpieces is such a beautiful and modern idea that will continue to trend for some years. You can also put the fruit basket around the venue to elevate your décor as well. Look out for the inspirations and choose the one that you like the most. It’s the perfect arrangement for a day wedding. Especially if you are thinking about having a fresh fruit and juice station at your wedding. 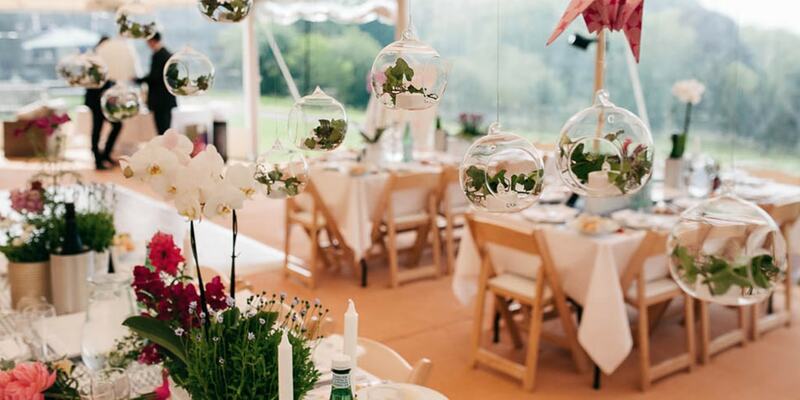 Without real flowers, your wedding celebrations can still shine out. Greenery can make a splendid alternative to fresh flowers. 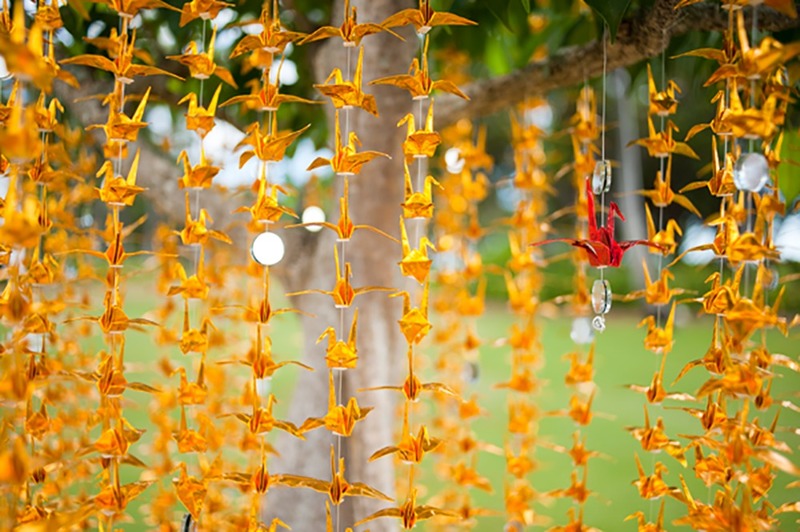 And trust us, you will be amazed to see the botanical ambience that greenery will add to your decor. 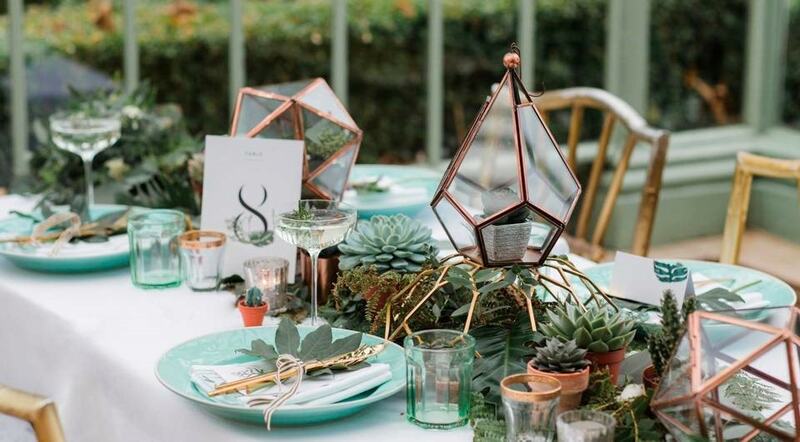 You can lavish your tables with lush ferns and leaves. Vines are also an excellent choice if you place it at the center of a table as a runner. They also brought some of the outdoors in an indoor venue. Plus, they are soothing to look at. Nothing is better than picking origami décor for your wedding. The décor will offer you so many different options that you will fail to pick one. We are so in love with origami flowers for photo backdrops, the hangings and for centerpieces. Pinterest is full of origami ideas so check them out to get inspiration. Handmade paper invitation, décor and wedding favors are sure to add a personal and intimate feeling to the wedding. You can make them into any shapes like cranes, hearts or any other preferred shape. 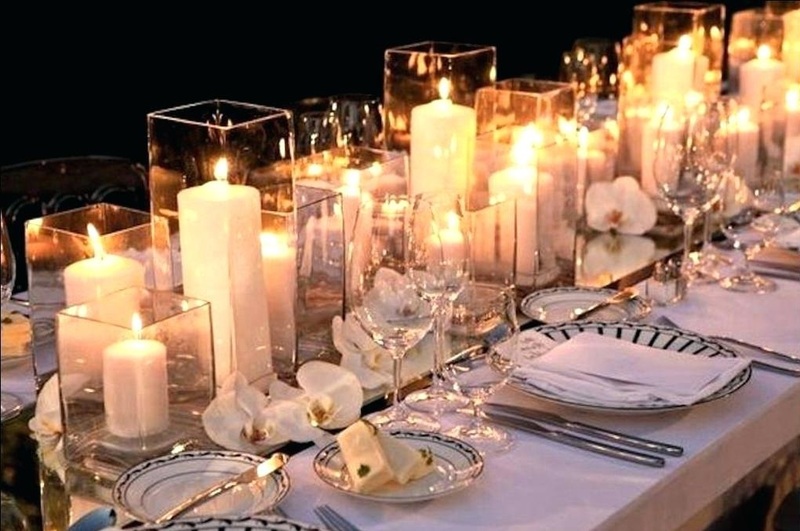 If you are having your wedding in the winter, adding candles to the décor might be a great alternative to flowers. It’s cozy and romantic without being too loud. Everybody loves candles. Their glow is warm and intimate. People have been using candles at dinners and festivities forever, and they will never be too old. 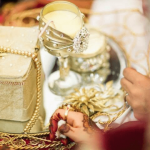 However, do not opt for candle lights if you have allowed children in the wedding because it’s a fire hazard. 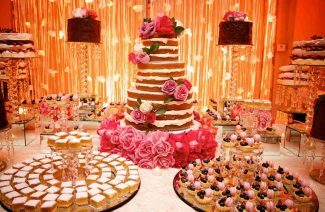 Hiring a talented wedding planner or decorator would be a very good decision. 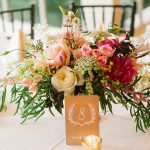 You can talk to your wedding planner about the idea of a flowerless wedding. He or she can also share the inspirations with you, whatever you go for, talk to the wedding planner and leave everything to him. They are usually pretty great at arranging a wedding within the budget. It’s likely they have decorating elements in store and offer you a discount. 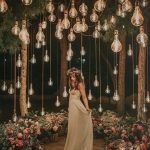 Follow these tips and tricks for having your flowerless wedding because nothing can beat these ideas. Go check them out. Weddings tend to be a very expensive occasion. Many brides are looking for budget-friendly décor elements to cut the expenses a little.